Being able to rest in a squatting position is something that we were naturally born to do but can be a very difficult shape for most people to stay in comfortably. In this workshop we will break down the “Malasana” squat and learn some of the key fundamentals, preparation and prerequisites that this shape requires in order to work towards an easeful squatting position. In this 2-hour workshop we will regress and dissect the “Malasana” Squat and look at some of the building blocks of strength and mobility required to preform the pose effectively. 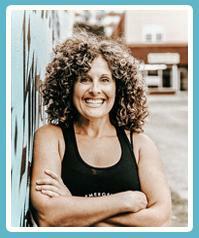 Kristy Pisani has been teaching yoga and diverse movement for just under a decade. Along with yoga movement, she is also a mindfulness practitioner; helping people to destress and tune into the present moment. Her passion for yoga, movement, mindfulness, and healthy body image is always growing and she cannot wait to practice with you!